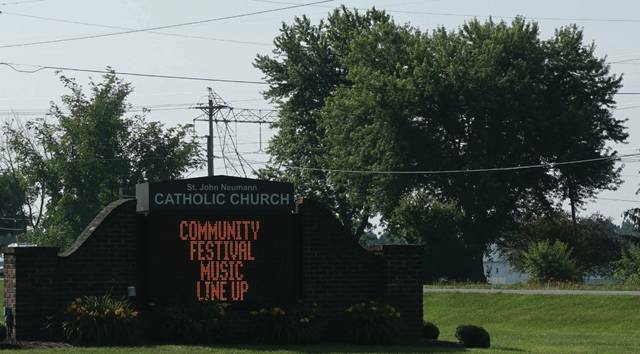 St. John’s sign gives the musical lineup for this weekend’s Community Festival. An Expo will be held in the parking lot of the Maxtown Road Kroger store. Sunbury and Westerville will be busy with festivals scheduled for this weekend. To that end, the annual event has amusement rides; local musical acts such as the Usual Suspects, Lauren Tucker and the Reaganomics; a carnival midway with games, beer garden, silent auction, and plenty of food. All are welcome, and net proceeds will benefit both the parish and local community ministries. The festival will be open to the public from 6 to 11 p.m. Friday and 5 to 11 p.m. Saturday. The church’s address is 9633 East State Route 37, Sunbury. 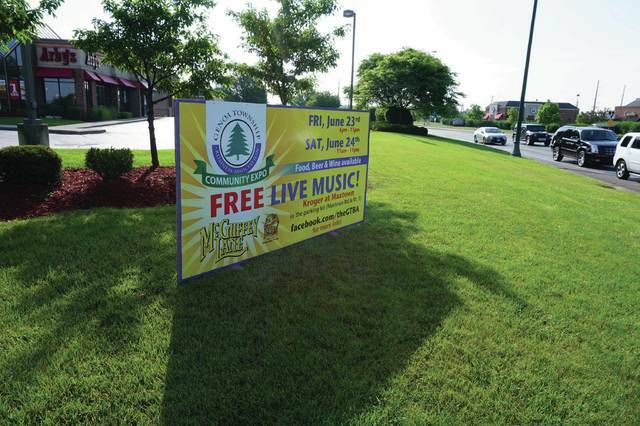 Also this weekend is the Community Expo in the parking lot of the Kroger at Maxtown Road and State Route 3. Presented by the Genoa Township Business Association, the event is a scholarship fundraiser for the organization. Bring a lawn chair, a poster for the event said. Food, beer, wine, freebies, car raffle and music from the likes of McGuffey Lane, Julie Ivory, Lynda Dachtyl, and Phil Dirt and the Dozers. There will also be veterans’ salutes at 7:45 p.m. both nights, including Rep. Pat Tiberi (R-Genoa Township) at Friday’s salute. The Expo’s hours are 6-11 p.m. Friday; and noon-11 p.m. Saturday. Proceeds from this event provide college scholarship funds to Genoa Township residents. https://www.delgazette.com/wp-content/uploads/sites/40/2017/06/web1_DSC00161.jpgSt. John’s sign gives the musical lineup for this weekend’s Community Festival. https://www.delgazette.com/wp-content/uploads/sites/40/2017/06/web1_DSC00152.jpgAn Expo will be held in the parking lot of the Maxtown Road Kroger store.